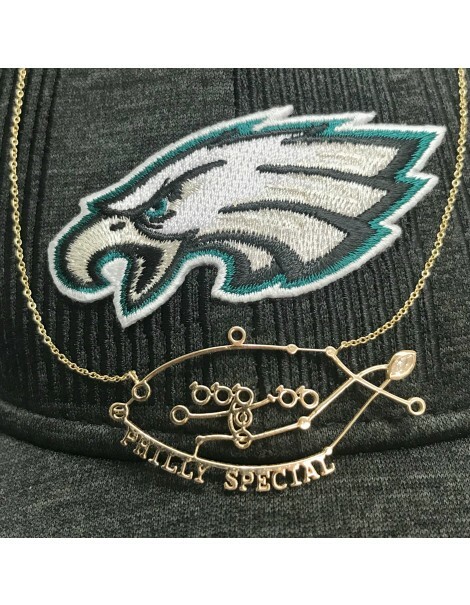 This Safian & Rudolph custom creation features the actual playbook formation of the touchdown play, thrown by tight end Trey Burton to Super Bowl MVP quarterback Nick Foles on a trick play near the end of the game’s first half. 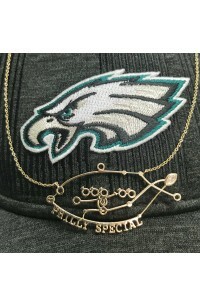 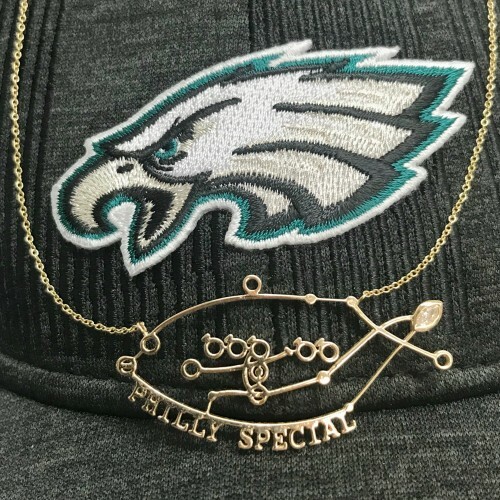 Labeled by many as the greatest trick play in Super Bowl history, the Philly Special can now be worn and remembered forever! 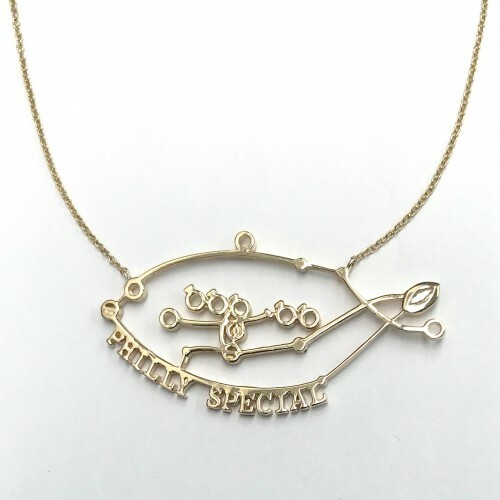 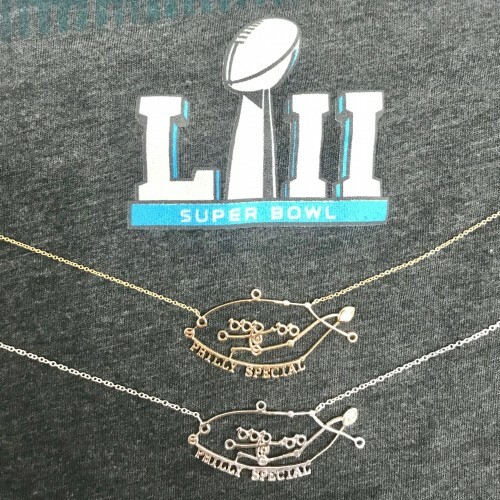 The Philly Special necklace is available in a 14-karat white or yellow gold, featuring a “football-shaped” marquise diamond, for $795. 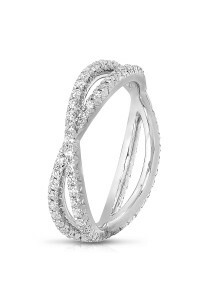 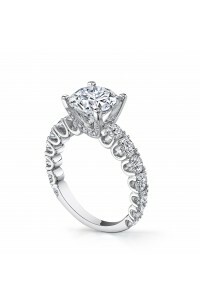 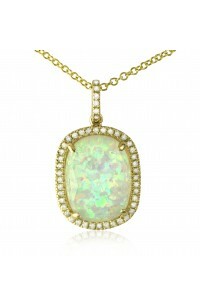 Or you can choose order it in silver with cubic zirconia, which can also be gold-plated at no extra charge, for $295. 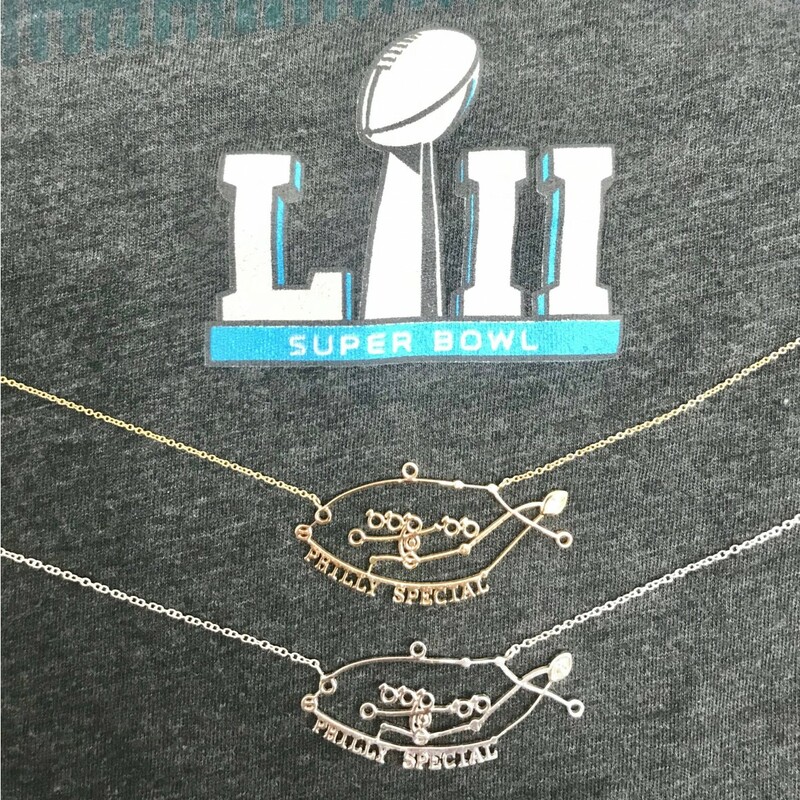 Please select from the "Options" drop-down menu below.